Please read all studio policies before purchasing online classes and workshops. 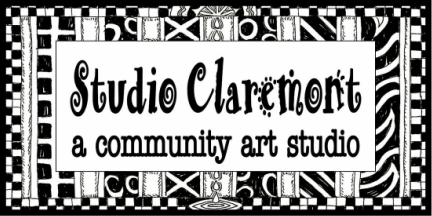 Please read our studio policies before purchasing classes or workshops online. You will need to sign this form in the studio on your artist's first day along with their emergency contact information. 1. Sessions - Tuition is billed in 4-week sessions and $120 payment ($130 for PO's) is due in advance. Please refer to the Studio Calendar for tuition due dates. Tuition and registration fees paid are non-refundable. 2. Late Payments/Returned Checks – A $10 late fee will apply for late payments. Returned checks will be assessed a $25 fee. The Studio reserves the right to refuse service for late/non-payment. In the event of habitual late payment, the Studio reserves the right to accept payment by auto charge only. 3. Missed Lessons and Cancellations - There will be no refund or credit for any lesson missed, and we do not offer make-ups or switches. Please be sure of your online purchase, as there are NO REFUNDS, CREDITS or SWITCHES. 4. Rescheduled or Canceled Lessons - If lessons must be rescheduled or canceled by the studio, the student will be offered a make-up lesson. 5. Early Drop-Offs/Prompt Pick-up – Please, NO early drop-off of student(s), and prompt and timely pick-up of child(ren) is a must. Early drop-offs and/or late pick-ups may result in a charge of $10 per quarter hour. If you have special circumstances, let us know in advance. 6. Student Behavior – In consideration of others, students are expected to be well mannered at all times in the Studio and Packing House. Please, no running or unattended children. 7. Promotional Photography – Students may be photographed for marketing and promotion of the Studio (website, emails, social media, etc.). If you do not wish to have your child(ren) photographed, please let us know. 8. Art Pick-Up – All art belongs to the family, but is put on display to honor our students. All art must be picked up within two weeks of a child(ren) discontinuing lessons at the Studio. After that time, we will dispose of the artwork, as our storage space is very limited.